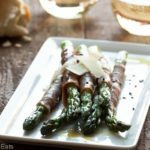 Prosciutto wrapped asparagus is a delicious, easy to make appetizer or side dish recipe. 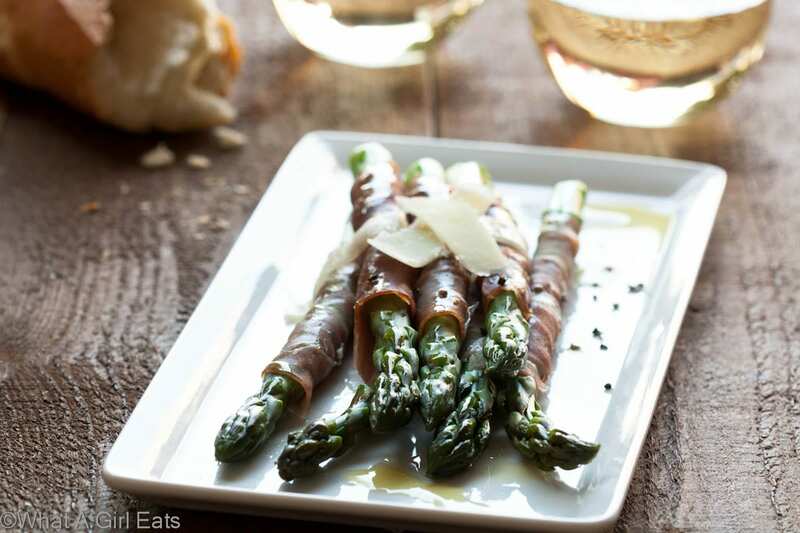 Tender spring asparagus is wrapped with salty prosciutto and shaved Parmesan cheese. Yay Spring! My absolute favorite vegetable of all time, asparagus, ushers in the season. Tender spring asparagus, dressed in a thin robe of prosciutto, a shaving of fresh parmesan, drizzle of olive oil and a sprinkling of fresh cracked black pepper. 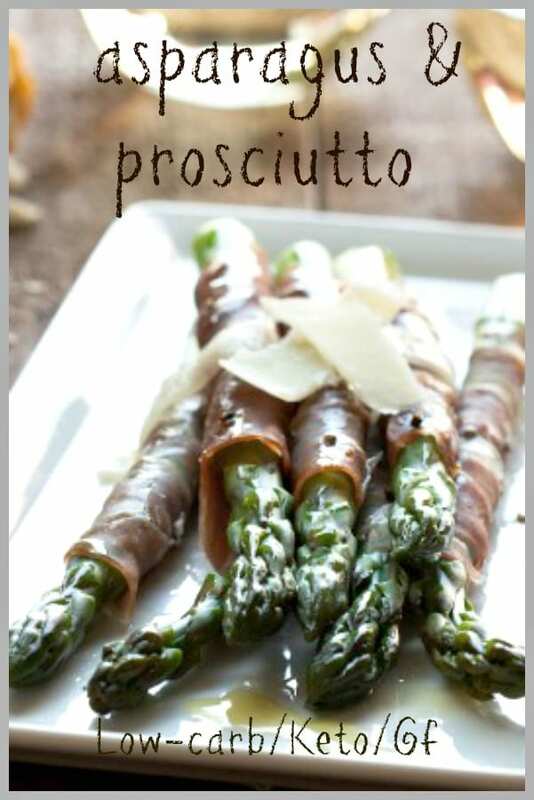 These Prosciutto Wrapped Asparagus with Parmesan would be a lovely nibble with a glass of wine. 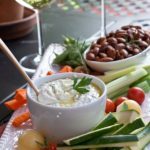 It would also be great as a starter for a simple Spring dinner. One of my favorites is Pollo al Limone, Lemon Roasted Chicken. Preheat broiler to high. Brush each spear of asparagus with olive oil. Grill asparagus for just a few minutes, the idea is to cook, but not brown the spears. Remove from the oven and allow to cool until room temperature. Sprinkle with shaved cheese. Drizzle with olive oil. Season with a sprinkling of kosher salt and cracked pepper. I really love simple food. Bacon Wrapped Scallops is another super simple, 2 ingredient dish, where the description is pretty much the recipe. 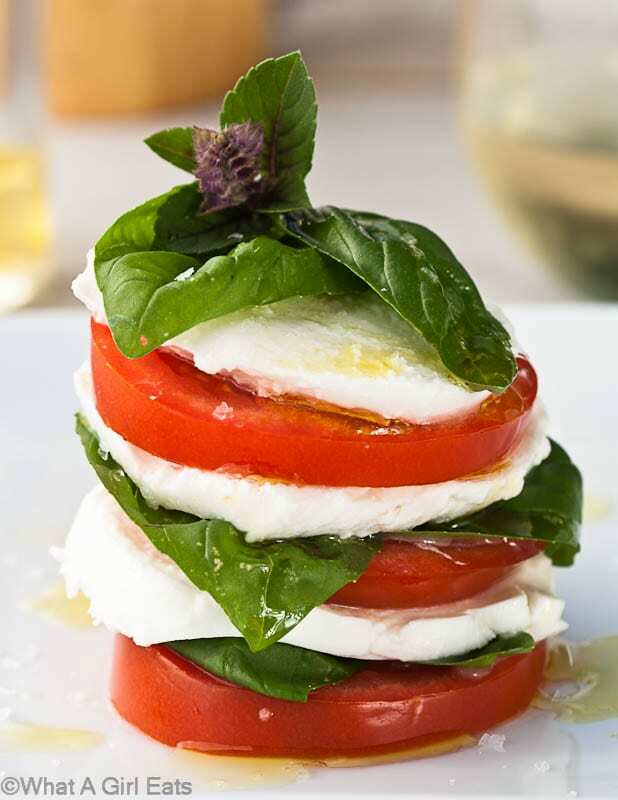 Insalata Caprese is just 3 ingredients. Well 4, if you count the drizzle of olive oil. Prosciutto wrapped Asparagus. 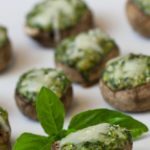 Gluten free, low carb and paleo. I love asparagus and your dish looks yummy Cynthia! G’day! 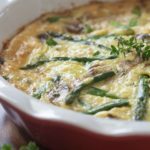 Love asparagus and love your photo today too! 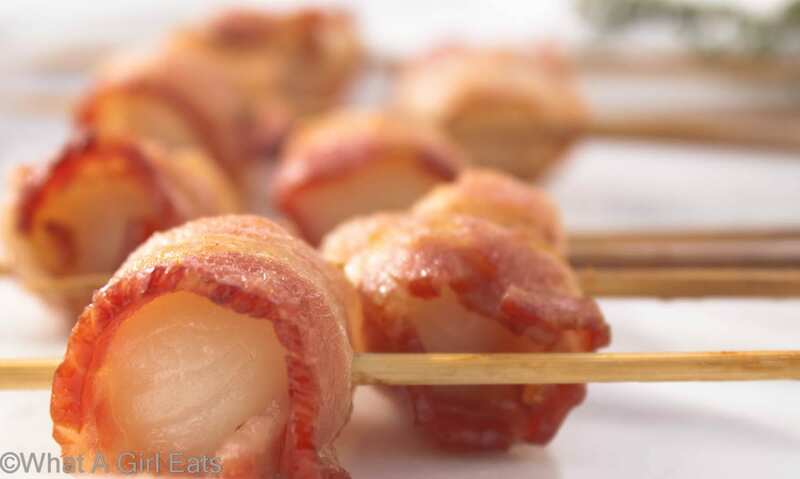 I heart asparagus, then you add bacon and cheese and that is even better! 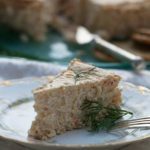 I tried this recipe yesterday evening, Just DELICIOUS! Ronda, thanks for hosting every week.